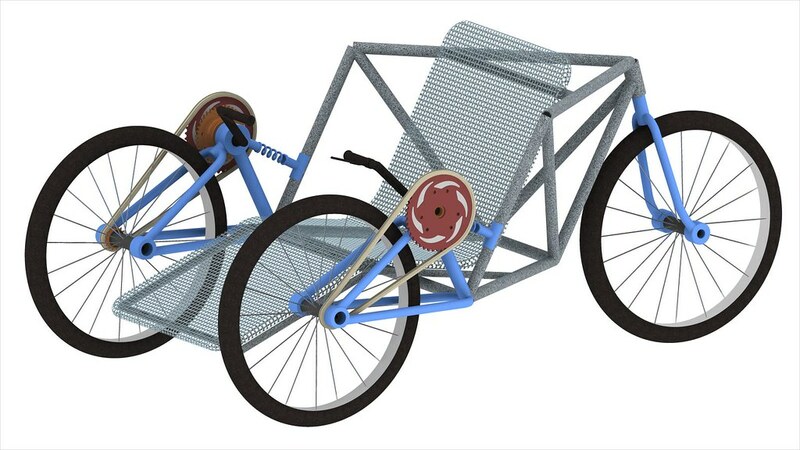 Our project is to build a hand powered tricycle for middle school age children. On Tuesday February 22, 2011 we met with our project contact, Dr. Stephen Canfield. We discussed our project and the direction we needed to go for the hand powered tricycle. The issues that were addressed were the power efficiency, variable transmission, steering, and the visual appearance. He suggested that we go look at the previous projects that have been done to figure out what was done correctly and needs to be changed. It was also suggested that we meet with those teams to discuss the project and what they might have done differently looking back and what problems they encountered. Primary design that we decided to use. There will be two front wheels and one rear wheel. Propultion will be two hand cranks. Steering will be dictated by turning one wheel and holding the break on the other. This will be easier to adapt to due to the children already having the esperiance with wheelchairs, the 2 methods of steering will be identical. 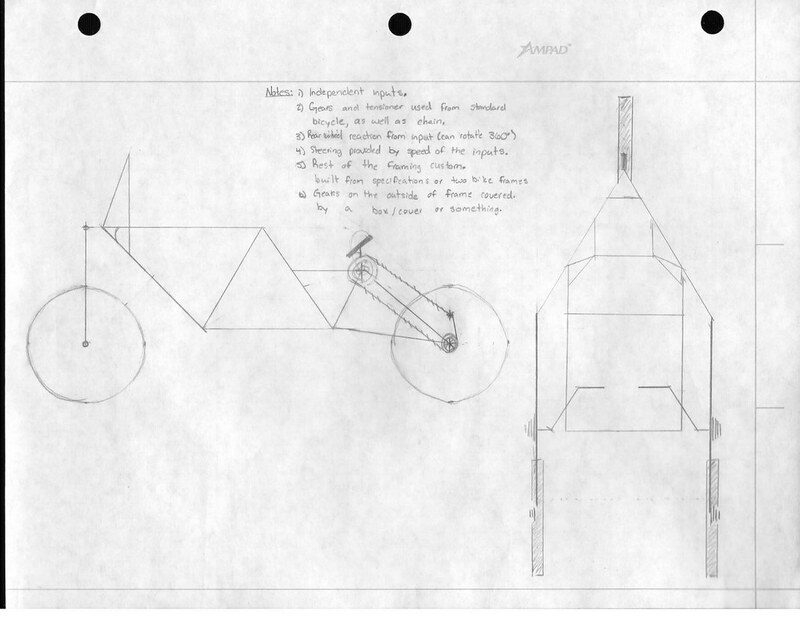 We will build this by taking two identical bikes and attaching them together and adding a frame for the seat. Because of this we will use the gears from the bikes and the hand cranks will already be assembled. The design previously used by the fall 2010 team but with some changes. The gearing system would be redone, the need to climb a 10 degree incline is no longer needed. The CVT transmission would not be used, due to cost and unforseen complications. We will exsperiment with other way's of dealing with toggle positions, such as using sliders and using a more sophisticated magnetic system. A very similar design as the concept 2 prototype except that like in the first design concept there will be two front wheels and one rear wheel. And instead of having two handcracks there would be one grashof mechanism connecting the two front wheels. 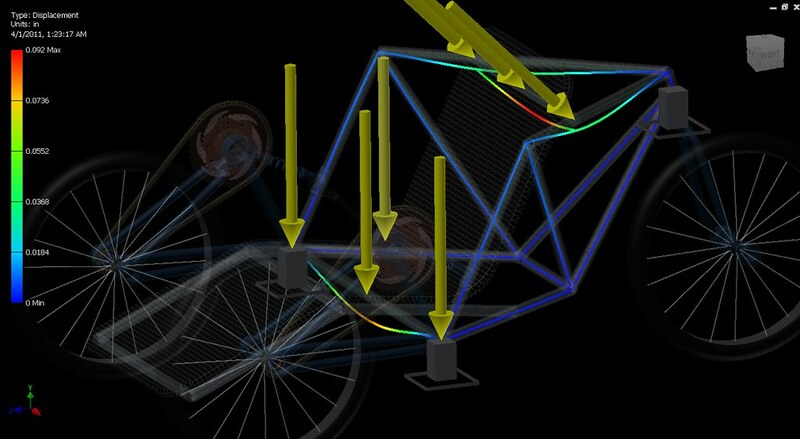 The steering will be similar to how the steering column in a car works except simplified greatly. 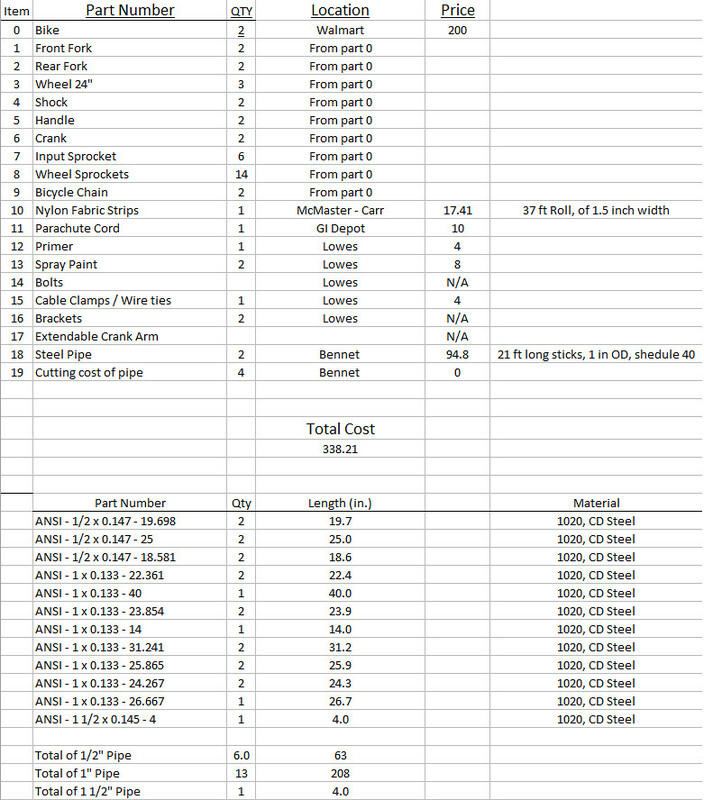 After meeting with a team of three engineers we dicussed the three different concepts and by general agreement we picked the first design concept as out choice. 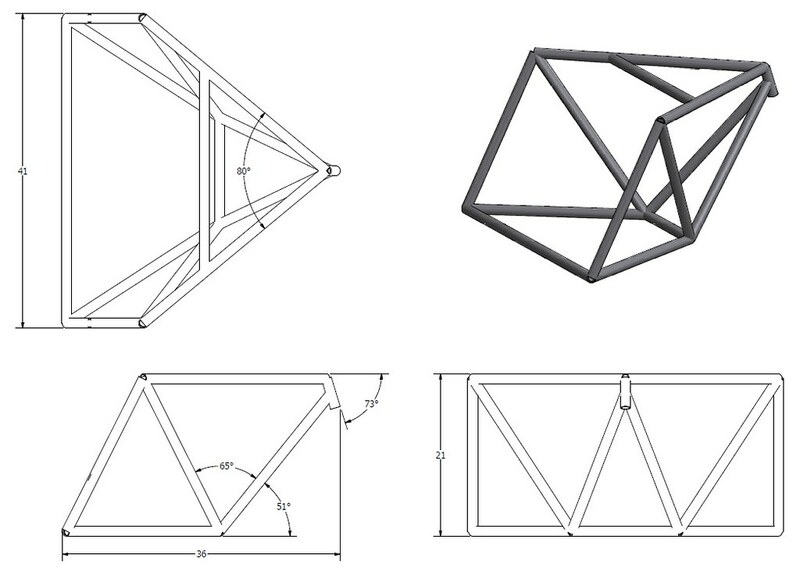 Some of the comments about out design were: Trail , force the child can exert on the cranks , and stability of the structure. Trail will effect how our rear wheel will roll as the trike moves, there may be wobbling or the wheel could rotate on itself. We told briefly about how much force the kid can exert and that would should test and exisperment to find the value. 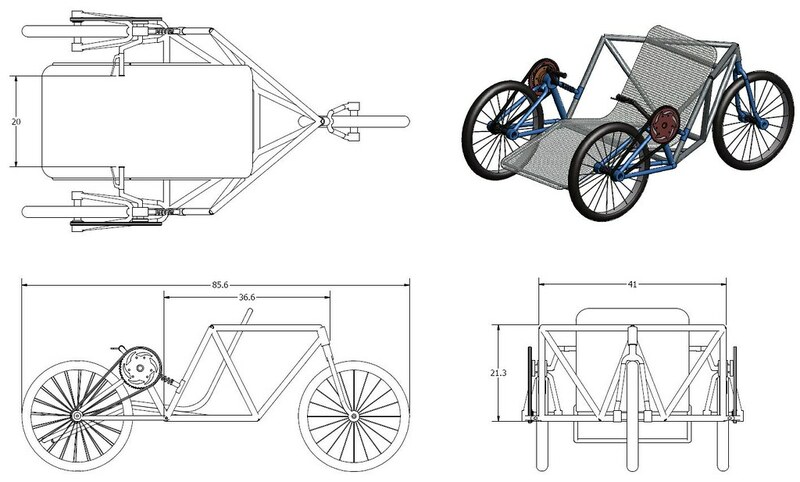 Also the previous team that worked on the trike, originally had stability problems and would tip over backwards.